Whilst the world’s major powers collectively pat themselves on the back for brokering a ceasefire in Syria, they fail to notice that the war, though diluted in its violence, is yet to stop. Despite the widely reported truce between Regime forces and those opposed to Bashar al-Assad, the death toll continues to rise in Syria. The oft-quoted figure of 250,000 dead has sat unchanged for at least 18-months and is in all likelihood so far from the truth that it should be ignored outright. Since the ceasefire has come into force, the monthly casualties have dropped substantially, but soldiers, and more worryingly, civilians continue to die en masse. The Syrian Observatory for Human Rights has quoted a figure of 2,105 killed between February 27th, when the ceasefire began, and March 27th. Of these, more than 360 were said to be civilians. In violation of the ceasefire, and continuing the trend of committing war crimes, Syrian regime and Russian aircraft have continued to target civilian populations. On March 7th, at least 19 civilians were killed in an air strike on a market in Idlib. Such tactics have been used throughout the five year conflict by forces loyal to Assad. Unsurprisingly, those opposed to the rule of Assad, as well as the interventions from Russia, Hezbollah, and Iran, are not optimistic about the upcoming Geneva peace talks. Two of the principal demands for revolutionary forces have been the removal of Assad from power and the cessation of bombing civilians. Neither of these seem likely at present. The reduction of fighting inside Syria has allowed for a sense of normality to return to the lives of its people. The danger may not have disappeared entirely, but it has been reduced, and within this window of opportunity, the people of Syria send a message to the world. 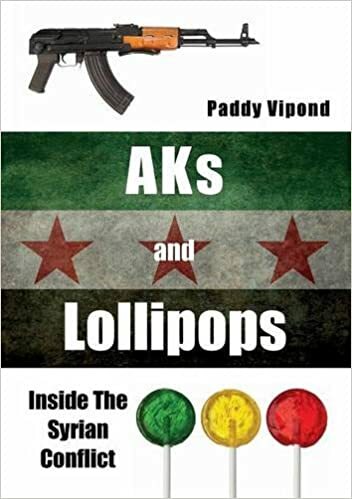 Despite the five years of war and the fragile position that they now find themselves in, the people of Syria have reverted back to the actions and demands that began the revolution. What is left of the cities’ streets have become stages once more for peaceful demonstrations and mass protests across the country. Through the unimaginable suffering, the hearts and aspirations of these people have not been broken. The international community, the Western world, and the major powers who seem to hold the fate of Syria in their hands, need to learn from this demonstration of willpower and not repeat the mistakes of the past. With the fighting having entered it’s sixth year, the country reduced to rubble, and with millions of Syrians internally displaced or refugees in other countries, it is clear that Assad and his regime will not defeat those who oppose him. The intervention of Hezbollah, Iran, and more recently Russia has only served to sustain the regime’s existence. It is on life-support at present and with the surprise Russian withdrawal it may soon begin to fade once more. On numerous occasions actors associated with Hezbollah have voiced concerns over their involvement in the conflict and as the body count increases it remains to be seen how long they can continue. Those fighting the regime and its allies have vowed not to stop until they are victorious, the millions of refugees who have fled the warzone have repeatedly stated that they will not return until Assad has gone, and the ceasefire proved that even if fighting were to come to a halt, the revolution would pick up from where it left off in 2011. Peace in Syria, and thus an end to the humanitarian and refugee crisis, will only occur when justice is given to its people. Justice is not a top down, US-Russian agreement on the activities within the country and the path for its future, but rather the removal of a tyrannical regime and a transfer of power to the Syrian people. Injustice breeds conflict and the region is mired in both right now, whether it is the rule of Assad, the emergence of ISIS, or the increasing authoritarianism of Recep Tayyip Erdogan’s Turkey and their war against the Kurds. The instability in the region provides the fertile environment needed for conflict to grow and in the case of Syria, the millions of refugees will supply a pool of potential manpower to continue fighting for many years to come. The treatment of refugees, and their status within the countries they have fled to, provides little faith in humanity and limited hope for a better future. Poor living arrangements and minimal employment provides the necessary conditions for the next generation to see conflict as their only choice. Born and raised in war, driven from their homes, and surrounded by violence, it is unlikely that the next generation will not choose to take up arms and continue the fight against the Assad regime. As one Syrian fighter in Aleppo said to Vice News recently: “the longer the war lasts, the more generations will become fighters”. If a lasting peace is the goal of the international community, the primary requirement for any negotiations must be that Assad and his regime relinquish power. If this justice is not given to the Syrian people, this conflict will continue for many years to come.